The title of Sith Lord comes with a busy schedule. There are rebellions to crush, planets to destroy, and awkward family reunions to plan, so reliable transportation is of the utmost importance. 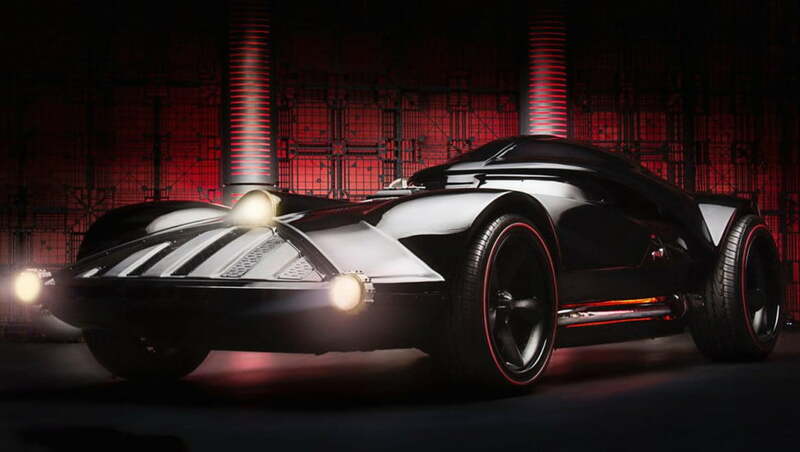 That’s why when Hot Wheels unveiled its fully drivable Darth Vader Car at San Diego Comic-Con last year, ground-based Force users were thrilled. After all, parallel parking a Star Destroyer is no easy task. Normally, the Darth Vader Car would be reserved for Papa Skywalker himself, but it appears Jay Leno has some sway, even with the Empire. On a recent episode of Jay Leno’s Garage, the former Tonight Show host took a closer look at the blacked-out two-seater, even taking the menacing creation out for a spin. Like the miniature version that will surely show up in countless Christmas stockings this year, the full-size vehicle is packed with goodies from the Star Wars universe. 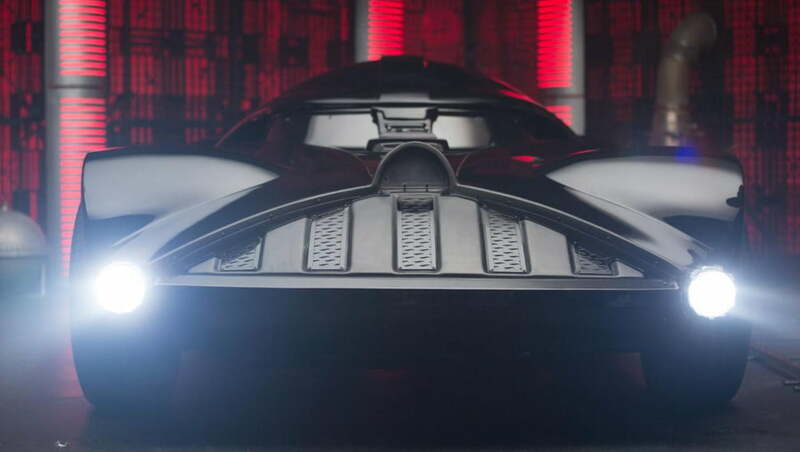 The triangular front fascia takes clear inspiration from Vader’s iconic helmet, and the flared wheel arches bare a strong resemblance to his bulky shoulder armor. The wheels themselves are custom MHT alloys, and like the seats and steering wheel inside the cabin, they’re appropriately adorned with the six-spoke Imperial crest. 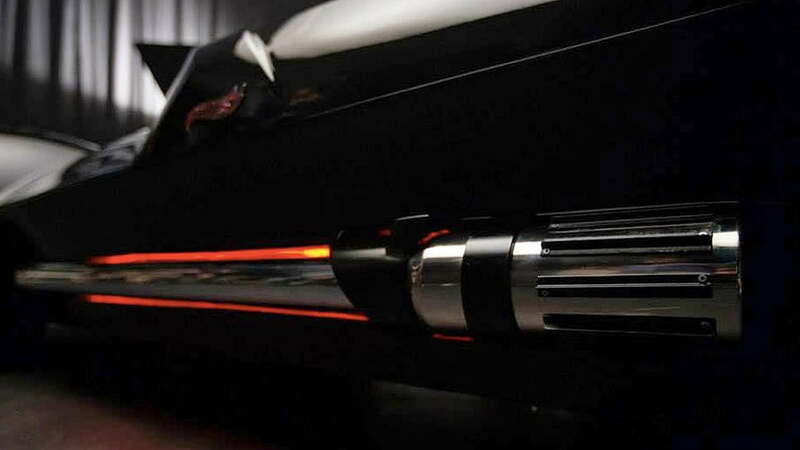 Even the side pipes are designed to look like Vader’s signature weapon, and a real prop lightsaber from the original trilogy is mounted inside. 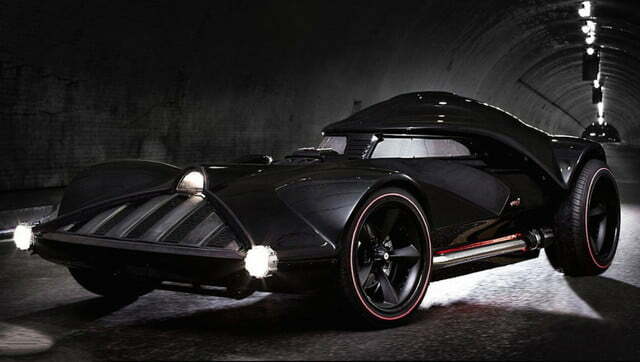 Despite all the customization though, the vehicle is fitted with street-legal accoutrements like turn signals, lights, and mirrors, because not even a Dark Lord of the Sith can escape the regulations of the California DMV. 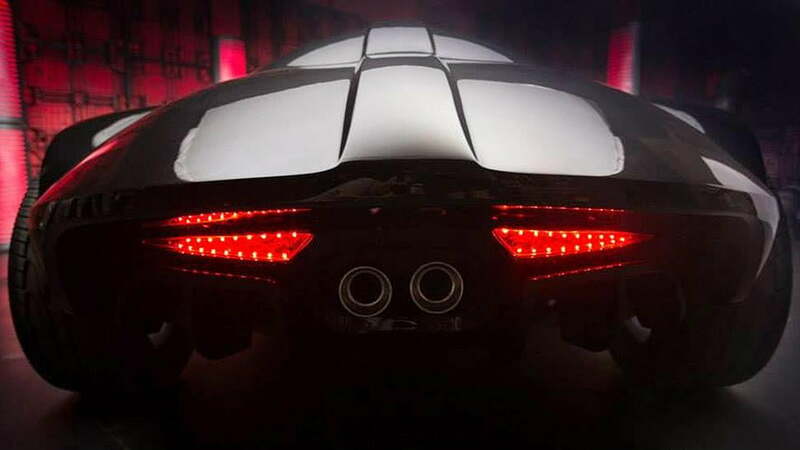 Underneath the sculpted bodywork lies a heavily modified C6 Chevrolet Corvette chassis, which led Leno to describe the vehicle as “an evil Corvette.” There’s a small-block LS3 V8 on hand as well, which sends 526 horsepower to the rear wheels via a six-speed manual transmission. That’s right folks, Darth Vader drove a stick. Maybe he wasn’t so bad after all.